How Far is Atrium Skyward? High Bliss is a contemporary expression of evergreen beauty. Homes that exclusively aesthetic in their design; created with loving care they are sure to reach to your heart. It is an expression of the sublime beauty where natures endowments are used to the hilt to create an ambience that is sure to strike a chord-light up your face with a smile on lips and twinkle in the eye! 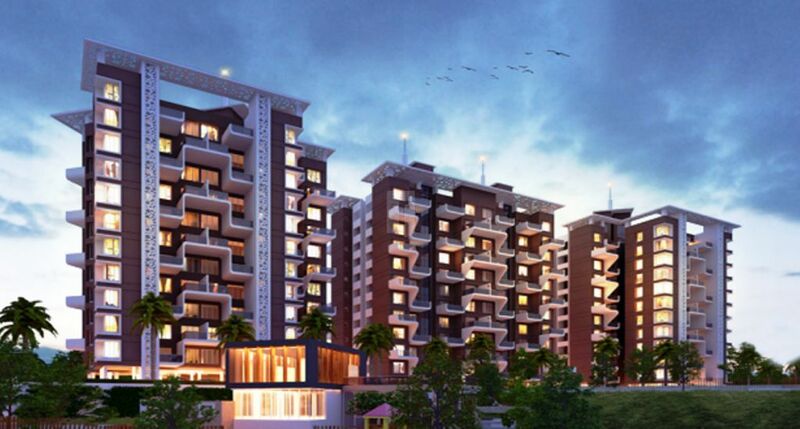 Homes at High Bliss design to imbibe and represent the beauty that lies in and aroud the project. Shap with carefull loving attend to detail, the emphasis being on optimum utilization of space, abundant natural lighting and ample ventilation, life here a mix of joyful moment and specious comfort. Exprence pure bliss with the sound of chirping of birds mingled with the spirit of laughter and happiness, only at High Bliss. Main door: design laminated with brass fighting & eye hole. Internal door: FRP door for WC, bath, toilet & attached terrace. Aluminium, powder coted with mosquito mesh, bottom marble window sill & safety grills. Entire flat: 2*2 vitrified tiles flooring. Toilets, balcony & attached terrace: anti-skid ceramic tiles. Concealed plumbing with hot & cold arrangement. Branded chrome plated fittings. Branded sanitary were. Designer glazed tiles dado up to 7’ high in toilet & bath. White glazed tiles dado up to 4’ high in WC. Good quality cement paint for external walls and oil bond distemper for internal walls.